Metavisual provides low cost, high powered websites. We utilize free technologies and cost saving techniques to get you a robust web site that will grow with your needs and allow for future technological needs. Our name means "beyond visual" to indicate that our websites go beyond their looks. If you ever find the need for your website to be functional rather than just informational, contact Metavisual. ﻿﻿Good taste abounds! The Louvre website has relaunch, completely rebuilt in Drupal. It is a great example of the power of Drupal. Some of the highlights are the searchable works and collections, a filterable calendar, easily switching of languages and the usual online store and ticket sales. Check it out at louvre.fr. Moving common tasks to the web is becoming more common. 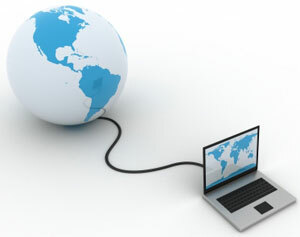 Being able to work from any internet connection or phone is a great benefit as is being freed from the hardware and software requirements of a personal computer. We help clients leverage their website to interface with clients as well as complete internal tasks. Whether it is processing a registration or managing a complex process with a customer, their are things your website can do to save you time and money. Exciting news! Whitehouse.gov has been relaunched in Drupal! Huge library of add-on modules to extend functionality very easily. More secure than proprietary software because of large community working to find security concerns. Ability to keep the current design and functionality while rebuilding everything behind the scenes. Ability to address their specific needs. Google Analytics is an essential free tool so you better know how to use it. We give you a quick start by letting you in on the best reports to add to your dashboard. A website built on a good system can get you features for free you may not have thought you could afford or waited for them to be built. Here are a list of features that can be added to your website for free using Drupal. A good way to save money and be productive is to utilize the free versions of the Google Office Productivity products. When establishing Metavisual, we decided it would be the best option for us. Every serious Drupal powered website will have add-on modules to extend the capabilities of that specific website. Here's the modules we think every site should have. 16. Gallery - Add one or more photo galleries to your website. 15. Editor (TinyMCE) - The most popular WYSIWYG editor for advanced content editing. 14. XML Sitemap - Creates an XML site map that works with Google Webmaster Tools. After you set up module, you may want to tweak the set up. Here is some of the things we do.